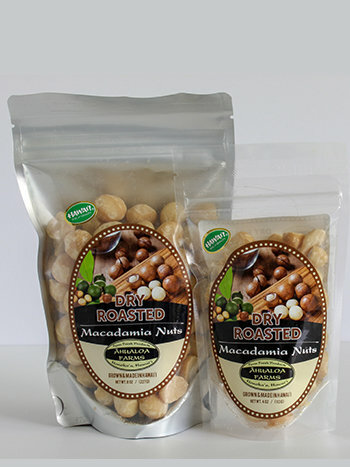 Hawaii macadamia nuts. Slowly oven roasted at low temperatures. Nothing added. Great for baking or making pesto. Choose from 4oz and 8oz bags.